Big Top Alphabet Circus (set of canvases) by Oopsy daisy - This unique red circus canvas art set for kids was created by Oopsy daisy artist Megan & Mendy Winborg. Each Big Top Alphabet Circus (set of canvases) canvas reproduction is printed on museum quality canvas using the giclee printing process. The rich colors and detail of this giclee canvas reproduction are practically indistinguishable from the original painting by Megan & Mendy Winborg. You can feel even better about your purchase knowing that Oopsy daisy Fine Art for Kids donates a portion of every sale to children's charities. 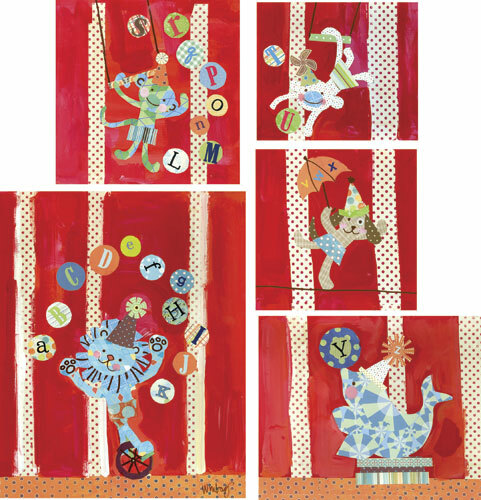 This piece of red circus canvas art set for kids is made in the U.S.A.
Full Description Big Top Alphabet Circus (set of canvases) by Oopsy daisy - This unique red circus canvas art set for kids was created by Oopsy daisy artist Megan & Mendy Winborg. Each Big Top Alphabet Circus (set of canvases) canvas reproduction is printed on museum quality canvas using the giclee printing process. The rich colors and detail of this giclee canvas reproduction are practically indistinguishable from the original painting by Megan & Mendy Winborg. You can feel even better about your purchase knowing that Oopsy daisy Fine Art for Kids donates a portion of every sale to children's charities. 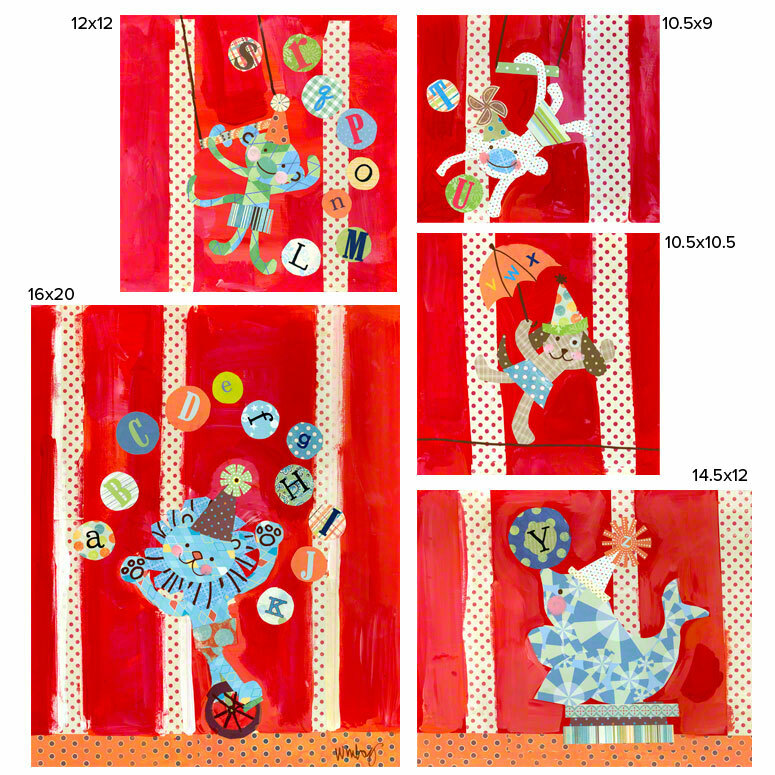 This piece of red circus canvas art set for kids is made in the U.S.A.